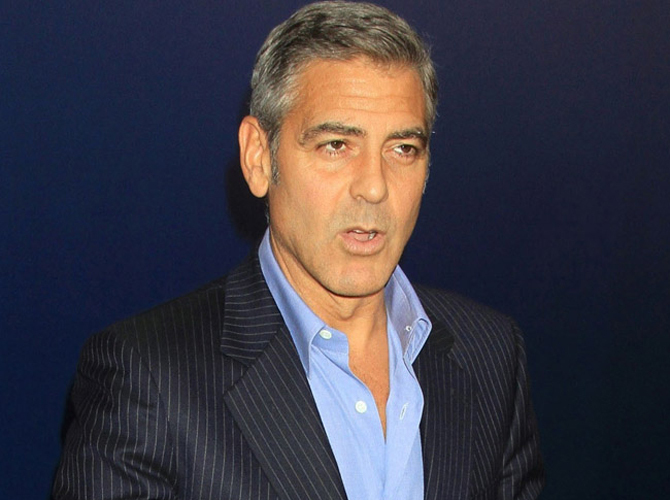 George Clooney is dating Croatian model Monika Jakisic. The Gravity actor, who has been romantically linked with a string of women since announcing his split from Stacy Keibler in July, has been "quietly seeing" the brunette beauty since September, although she isn't officially his girlfriend yet. A source told Us Weekly: "Monika and George are dating. She's not his official 'girlfriend' yet, but they've become very close. She has been seeing George almost every night." The 52-year-old hunk was seen at London hotel The Connaught with Monika, 33, recently and the pair stayed out chatting until after midnight. One onlooker said: "George was making Monika laugh and holding her hand. It looked like he was having a great time." The pair first dated in 2004 and met up again in London where Monika is based, and where George is shooting his upcoming movie The Monuments Men. Speaking of a night out they enjoyed in May, the insider said: "They danced and held hands. He's been calling and texting her ever since." Earlier this week, George was romantically linked with British lawyer Amal Alamuddin after they were seen together at upmarket London eatery Berners Tavern, but the insiders insist they are "just friends" and the evening was "non-romantic."